Choosing the best love songs for your wedding should be top on your list of things to do for your special day. It is your duty to find upbeat love songs for your own wedding. So each aspect of a wedding needs a collection of classic love songs. And in the world of music and expression of love, this takes a whole lot of planning. Each wedding theme has the type of love songs that go with it. Yet, there are some which are so classy that they can work for about any style of wedding. These are the most popular wedding songs and the top love songs of all time. Songs by some of the best singers, love experts, voices which have given us love songs which have endured. These songs have saved relationships, marriages and everything bound by love. These are the songs we have on our minds when we are thinking about love songs for him and love songs for her. When we think about a loved one on our mind. There is a huge number to choose from when thinking of the most popular love songs. It is virtually impossible to run out of an array of choices. Below we have a few which you can start your juices flowing in preparation for a collection of love songs. Love songs for a country themed wedding are not difficult to choose, in fact, it is all too easy. This is because country crooners are some of the best at singing about this old age emotion. Love is the prime foundation for most country music. It is difficult to talk country music without bringing up the topic of love. In fact, it is downright impossible, as is with every other genre of music. To find country love songs for him or for her, or for the wedding reception, you only have to look and you will find. Also, country singers are some of the best in this aspect of music. Putting together a list of love songs for a country themed wedding can be a delightful try. Indeed in the world of country love songs. So take your pick. A mix of love songs from different decades, this list reminds us that classic does not mean boring in any way. Classic music is timeless and works for all seasons. Finding the right classic love songs for your wedding should be as fun as finding that special person to share your life with. You’ve fixed the date, you’ve handled most of the things on your list, so ensure not to leave this part out. The music plays a huge part in this very special event and you do not want to get it wrong. Not when there are so many of the best love songs to choose from. You cannot run out of choices for classic love songs for your special day. Such singers like Bryan Adams to Jason Mraz and Rod Stewart will help you anytime. The genre of rock has produced some of the best music we have ever had over the years from the 60s to the 90s and beyond. In the best rock love songs, there is a broad variety of rock music for the layout of the non-traditional wedding. These kinds of choices can make the event unexpected and interesting. These songs have been able to capture the magic that is love within their words. Their tunes are able to transport us every single time they sound, to a place we haven’t been before. Below we have a prime pick of the best love songs of rock for your special day. Rock music is a great choice for a list of love songs. There is soft rock, hard rock, rock music for slow dancing and rock music for jiving. 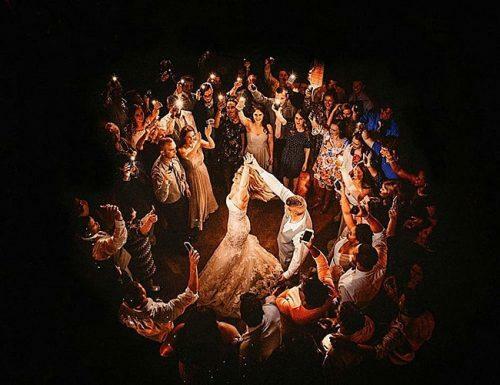 Rock music as a choice can fit into every single aspect of your wedding. Thus do not hesitate if youХve determined to choose the best rock love songs for your expression of love on your most special day. This is where we outline tips on what you should not do while choosing wedding music. This is not a day on which you would want to make a costly mistake. There most definitely is a host of things you should do in preparation for the music for your wedding. But there is also quite many things you should be careful not to do. You are on the right course if you’re trying to find upbeat love songs or any other kind of music for your wedding. So, in putting all this together there are some things you should not forget to do. 1. Do not leave the wedding music planning until the last minute. This can be costly as the music sets the pace for a wedding. It is also often an overlooked segment of the wedding planning. You need to choose the theme of music. Things like whether you will be choosing the best modern love songs or some other type of music matters. Your unpreparedness in this aspect can affect your wedding party. People will be walking out when they should be sitting down. You wouldn’t want to have the wrong kind of DJ or band or have to rely on an iPod. The right kind of music with the top love songs played at your wedding takes careful planning. So it most definitely should not wait until it is too late. 2. Don’t have a band only; try to hire a band and a DJ. Having one option for music can be quite dangerous because a wedding has many different aspects to it. Trust me, you will want a DJ with the right expertise to be able to pick up where the band lets off. There is only so much a band can achieve. And when it comes to classic love songs, it is a completely different sound than a DJ produces. It should be a great addition to the tempo of your wedding. 3. Don’t assume the DJ won’t be paid for overtime. Not everything works exactly the way we plan it to, and this happens a lot with time. This applies to the DJ and/or the band. However, it applies more to the DJ because it is the music which can go on and on without any thought of time. And so, to keep upbeat love songs in continued play at your wedding it is important to discuss every aspect. Do not leave anything to chance. This includes logistics in case of any overtime. 4. Do not give the DJ an inflexible list of songs, allow some wiggle room. There is a host of songs to choose from on the topic of love, and for a wedding. Even if you want to keep things tight and you want only country love songs for him, do not give your DJ an inflexible list. If you would normally need 10 songs, give him 20. If you’d need only soft songs, give him a slight mix and allow him some room on which song comes after which. They usually have more experience in creating the right flow. 5. Don’t pick a DJ or band you haven’t tried or received reviews from. Do not allow yourself to be surprised, or shocked, taken aback. If you don’t want these types of words at your wedding then make sure you pick a music team that you are familiar with. You must have the best love songs played at your wedding and create a good time for everyone present. Ensure choose a DJ or band with good references and take the time to hear them play. It is common to make a list of everything you must do for an event, few people think about what you must not do. It is not a very popular or forgiving topic. We want the best love songs played at the wedding and for them to be played without a hitch, through the right medium. Therefore it is important to consider some more wedding music don’ts. This works so that everyone can have a good time, and the wedding party can enjoy your special day. 1. Do not sit any tables close to the music. It can be very uncomfortable for any guests to be seated close to the music. Wedding music is usually quite loud, and even if not loud it feels loud if you are seated close enough to it. So even if you might have the best rock love songs playing, it wouldn’t feel like the best to your guests if it is hurting their ears. 2. Do not feel you have to stay traditional. It is all about having fun. So yes, we know you have chosen a theme. We are aware that you have a picture of exactly how you want it to be and how you want it all to sound. But you are taking all the fun out of it if you decide it must be all love songs for her or it must be the way people expect it to be. Create something fun and unique to you that is the true expression of your love. 3. Do not go with songs you haven’t first listened to. You must listen to the songs. The importance of music preparation has been established and it is a major part of the fabric of this event. Thus it is also paramount to listen to these songs before to play them. Perhaps you have chosen a list of classic love songs. But, if you do not take the time to listen to them, then you don’t really know what is going to be played. As a result, you must know the effect this music will have at your wedding. You must also know what parts of the wedding these songs are going to be played. This is how essential it all is. 4. Do not leave the logistics of your band or DJ to a third party you’re not sure can handle it. There is this saying that whatever you want to be done well, you should do yourself. But at the same time, this is a wedding, so preparation can take a lot of work. It is entirely possible to delegate the choice of the DJ or the band. Even for something as simple as the best modern love songs for a wedding, it is fine to delegate. But choose someone you know without a doubt can handle it and make the best-informed choices. So this will ensure that you do not lose out on making the best of the music for the wedding. 5. Do not forget to pick a song for your walk out. Everybody thinks about the beginning, about walking in, about the ceremony, about the reception. So we are going to have the best modern love songs play at such and such time. However, not everybody thinks about the end. Therefore while you are carried away with certain aspects of this event, be careful not to forget the conclusion. Keep in mind that the grand collection of classic love songs for when you walk out. This is because for sure, the end deserves to be just as magical and beautiful as the beginning. A wedding would be incomplete without love songs. It is almost impossible to have a wedding without the inclusion of love songs. Because, as we know, a wedding is the ultimate celebration of love. It brings people together to celebrate the magic, the emotion, the feeling that is love. It is a great idea to put together a collection of the best love songs for such an event. These for the record have to be the ultimate best to capture the exact kind of feeling that you want at your wedding. Also, you might choose to put together classic love songs for that magnificent and classy wedding. It is up to you to recreate the thought paramount in your mind as you plan for this special event. Thus it should not be an afterthought and it should not be left until the last minute. The music should be just as planned as every other aspect of the ceremony. A love song captures the very essence of a wedding, which is love. As a result, the topic of love songs can be so discussed. It is one aspect of wedding preparation which should be perfect for the entire day to go well and as planned. It is most usually a subdued topic. But putting together the best love songs for a wedding takes time. Hence, this process requires a special time in the planning of the event. Love songs celebrate the bride the groom, the families and even the guests at a wedding. They bring the entire wedding together in the celebration of two people loved by all. Moreover, it is a great way of tying it all together in a beautiful way. This event would not be even without music. So do the best to make the planning of this music. Whether there are classic love songs or country love songs, each type will fit with the event. An appropriate wedding song list includes love songs for her, as well as for him. They help express the love that the couple feels for each other. 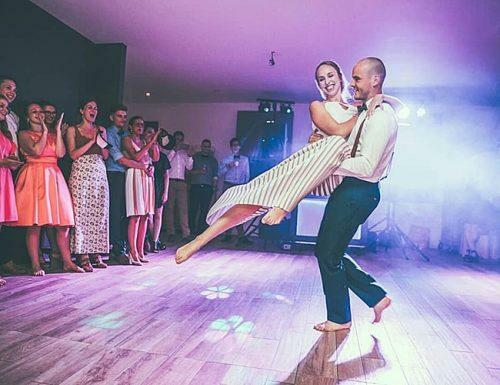 Many weddings include top love songs of all time in their list. Because music changes from decade to decade. So it captures that eternal nature of love and bringing it into the celebration of this feeling. 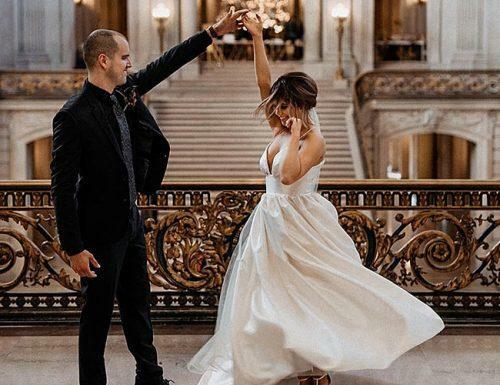 The best modern love songs go at countless weddings. Because music is one of the best ways of communicating love. Therefore love songs will forever have a place in relationships and marriage. So here we have it, a collection of love songs for your listening pleasure and to choose from. You do not run the risk of running out of love song ideas for that special day.